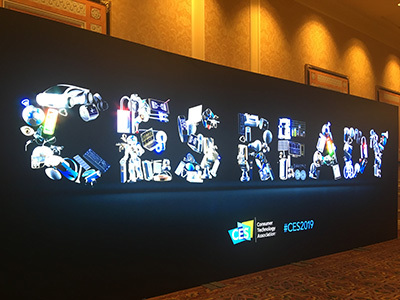 We’ve recently returned from an incredible week at CES in Las Vegas, the worlds’ largest meeting place for the tech sector. 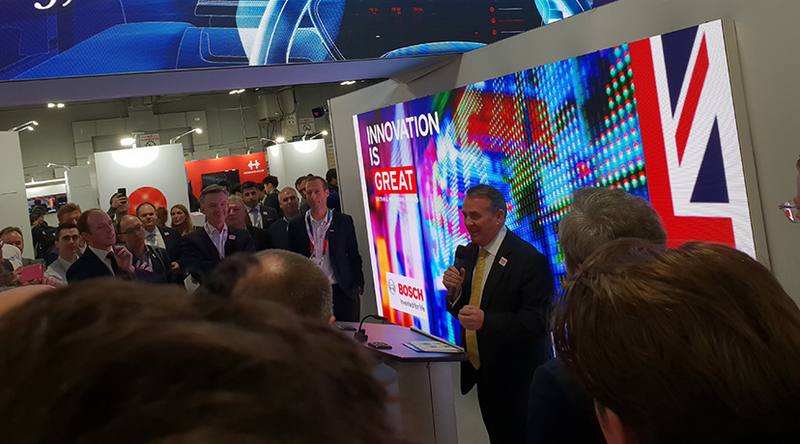 Working with our client the Department for International Trade (DIT), we were tasked with organising the UK’s largest ever delegation of 100 UK tech companies to have a presence at the show on the UK Pavilion, helping to promote UK innovation and capabilities in the sector. We developed creative concepts for the stand design, creating a visually stunning space for the UK companies to showcase their innovative products with maximum impact. We designed bespoke screen content, impactful stand graphics and a large company directory, which served to further enhance the UK offer at the event. We also delivered the 200-person VIP reception that kicked off the Secretary of State for International Trade’s programme of activity on Monday 7 January. 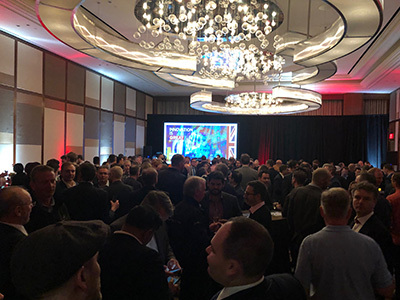 The entire event was a resounding success, with 8 UK companies announced as winners of the CES 2019 Innovation Awards, celebrating outstanding design and engineering in consumer technology products. Of the 100 UK companies exhibiting on the UK Pavilion, initial feedback has been extremely positive, with many expecting to receive new business from overseas as a result of attending. We look forward to continuing our work with DIT – read more about the contract here.